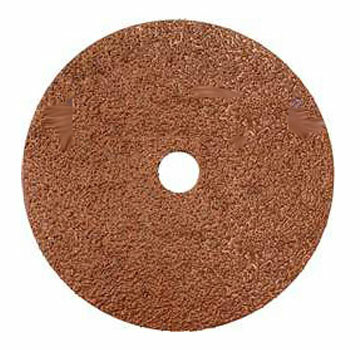 PRODUCT: 4-1/2" X 7/8" C-TYPE ALUMINUM OXIDE HEAVY DUTY RESIN BONDED, FIBER-BACKED, 120 GRIT, SANDING DISC. 25/BOX. PRICE/BOX. • C-Type Aluminum oxide grain. • Resin bonded fiber reinforced disk. • General purpose - wood an metal. Pearl Abrasive Products Online Catalog Link.